Kraft Davies, PLLC is a nationally recognized cruise ship injury law firm based in Seattle, Washington dedicated to helping Holland America Line passengers with legitimate personal injury claims obtain full and fair compensation. Claims against Holland America Line may only be filed in Seattle, Washington under the terms of the cruise contract. For decades, our award-winning cruise ship injury lawyers have brought claims for passengers against Holland America Line for injuries occurring all over the world. We are one of the few firms in the country that litigates claims against Holland America Line and have been published one of the leading cases for passengers against Holland America Line. See, e.g., Dinklage v. Holland Am. Line-Westours, 2007 U.S. LEXIS 21919 (2007) (holding that Holland America Line’s attempts to limit its liability in its cruise ticket was not reasonably communicated to the passenger and that the company failed to provide adequate notice of the limitations). If you have questions about a claim against Holland America Line, contact our cruise injury lawyers for a free consultation today at 206.624.8844. Based in Seattle, Washington, Holland America Line is a major cruise line company that operates cruises worldwide. 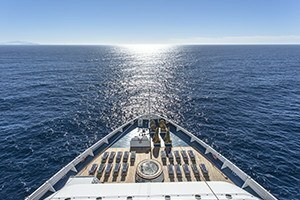 Our law firm routinely handles claims against Holland America Line for passengers who have been injured or killed while on a Holland America cruise. Unlike other personal injury claims, there are important differences in claims against Holland America Line that you need to know after your injury. Your right to bring a claim against Holland America Line is limited by your passenger ticket. Most importantly, you must give notice of your injury to Holland America within six-months and must file a lawsuit against Holland America within one-year. If you fail to file your lawsuit within this period, you will lose your right to bring a claim. Because of the limited period that you have to bring a claim, it is important that you contact our cruise ship personal injury attorneys as soon as possible after your injury. We will need time to evaluate your claim, prepare the claim for litigation, and make certain that it is timely filed. Even if you have not yet decided whether you wish to pursue a claim, contact our firm for a free initial consultation so that you can make an informed decision. The passenger ticket provides that claims against Holland America Line must be brought in Seattle, Washington. Therefore, it is important that you contact a law firm in Seattle that has experience with these claims and it aware of the important limitations on claims in the passenger ticket. As a Seattle law firm that routinely handles claims against Holland America Line, we know how to protect your rights and seek maximum compensation for your injuries. When you are injured on a Holland America Line vessel, the last thing that you need is more bills. Because we understand that you need to focus of your recovery, we accept cases on a contingent fee basis. This means that attorneys' fees are not paid unless we make a recovery for you. We are paid a percentage of the recovery as our fee. Although our clients are responsible for costs, our law firm will advance all costs necessary to prosecute the claim. If we accept your case, you will not have to pay any funds out of your pocket while the case is pending. We regularly associate with law firms all over the nation in bringing claims against Holland America Line. If you are a lawyer looking for local counsel to assist on a Holland America claim, please contact our firm to discuss the claim. We are members of the American Association for Justice and the Washington State Association for Justice. Our maritime personal injury law firm, Kraft Davies, PLLC, is well-recognized for our accomplishments on behalf of people injured at sea on commercial fishing vessels, on tugboats, on Washington State Ferries and on Holland America Line cruise ships. We have a great deal of experience finding and using evidence of negligence when a passenger or crew member has suffered a serious or catastrophic injury or been killed in an accident onboard a ship. Our lawyers have obtained some of the largest verdicts and settlements in Washington and the country, making a lasting difference for our clients who were badly injured. At Kraft Davies, PLLC, we carefully screen potential injury cases to ensure that our resources and attention are best spent on those who need our help. We welcome the opportunity to evaluate your case after you have been injured or a loved one has been killed on a Holland America Line cruise ship. Initial consultations are free, and we represent our clients on a contingency basis. This means that attorneys' fees are due only when and if a verdict or settlement is paid out. Call us today at 206.624.8844.